Integrate some early writing assessment with your getting-to-know-you activities by using this set of four colorful picture prompts. 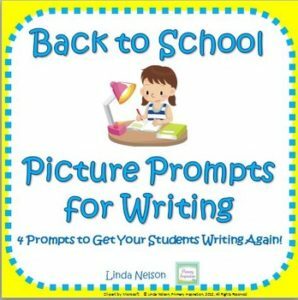 Print on card stock and laminate for use in your Writing Center, or print a copy for each student – these pages will print fine in black and white to conserve color ink. Or, keep it simple and use your document camera to display without even printing! Thanks for your interest in this resource!